The 1930 Mille Miglia, legend and myth. The Mille Miglia was in its forth year and it had already worked its way into the Italian soul, Alfa Romeo had won the last two races and by 1930 this epic race, one thousand miles on all types of road was a national success. However accurate detail of exactly what happened during a race is extremely difficult to ascertain as there were only 14 control points on the whole one thousand mile route and for the first years of the race it was virtually impossible to follow the route because it was so badly signed. So by 1930 Alfa Romeo was heading for its hat trick and the team had entered a number of works cars, while Scuderia Ferrari had also entered a “B” team of three cars and of course there was the usual plethora of privateer entries. The organisers had increased the number of entries into the race by adding a “Utility” class of cars less than 1100cc and costing less than £270 and so there were 135 entries. 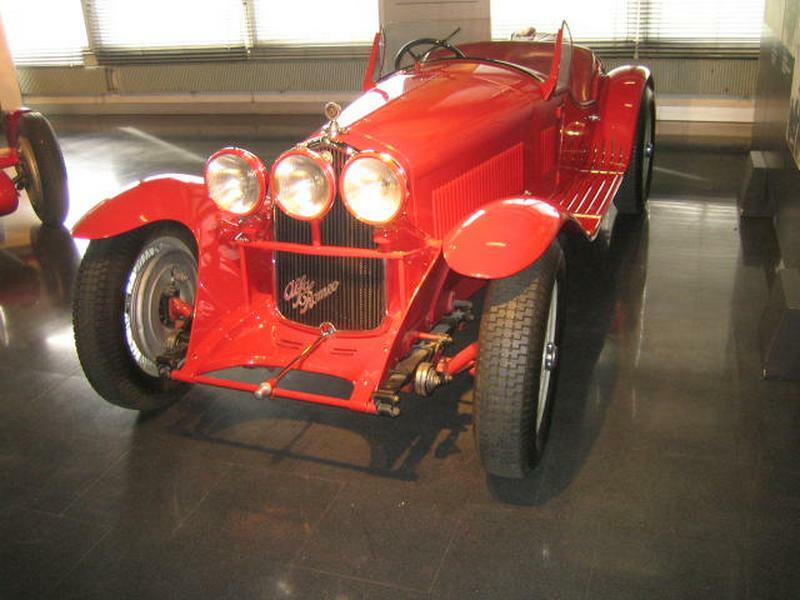 By 1930, however, Alfa Romeo had already stamped its mark on the race and the 1750 reigned supreme. By 1930 the privateer Alfa Romeo’s were producing 100 bhp, while the works cars had around 110 bhp which was achieved by increasing the size of the supercharger and running it engine speed and along and with the extra power the new Zagato body was also lighter and stronger than its predecessor. The start of the race was put back to 11 a.m. after a short ceremony to mark the passing of Count Brilli-Peri who was killed practicing for the Gran Premio di Tripoli in March. As usual the utility classes went first with the serious runners getting away well after noon. When the race entered Bologna the Maserati type 26 b of Luigi Arcangeli was in the lead, but Nuvolari was only 13 seconds behind in the 1750 with Varsi second in another 1750 and Caracciola in the Mercedes-Benz SSK tying for third place. After Bologna the race begins the arduous climb over the Adennines, the spine of Italy, here Arcangeli’s brakes faded and he ended up in hospital with minor injuries giving Nuvolari the lead. The Mercedes-Benz of Caracciola found the Futa pass particularly arduous mainly due to its size but this was not helped by Caracciola’s lack of local knowledge and she slipped further down the order, while Varsi lost his second place to Bassi’s 3.0 Litre O.M. Between Florence and Rome, Nuvolari managed to retain his lead but only narrowly while Varsi and Campari pressed him hard with Bassi’s O.M. demoted to fourth place. After Rome came another trip into the mountains and as dark fell the local villagers lit flares on the approach to there villages and on particularly tricky bends, Caracciola in the Mercedes bend dropped further back, down to ninth place, while Campari managed to mow down a dog and was delayed as a result, so as the cars reached Ancona, Nuvolari was a minute up on Varsi with a comparatively easy drive up the coast road. Unfortunately Varsi had two punctures along this stretch and Nuvolari stretched his lead to seven minutes only three minutes behind Varsi, Inexorably he gained on his rival, legend has it that Nuvolari turns of his lights and sneaks up on his rival, snapping them on at the last minute to fly past his surprised rival, however this is unlikely to be quite factual as Nuvolari was already ahead of Varsi, the Mille Miglia is a time trial so the mere fact that Nuvolari was on Varsi’s tail put him ten minutes ahead. As well that, at that time in the morning, in good weather, it is hardly likely that Varsi would have not have been able see Nuvolari behind him with or without light’s. Nuvolari took the flag eleven minutes ahead of Varsi he averaged just over the 100 kph which was exactly the sort of feat to capture the publics imagination and the fact that he was only 52 seconds in front of his rival on the road was also the stuff of legend. Campari, having removed the remains of the dog was half an hour behind Nuvolari with Ghersi giving Alfa the first four places and their third successive victory in the event.